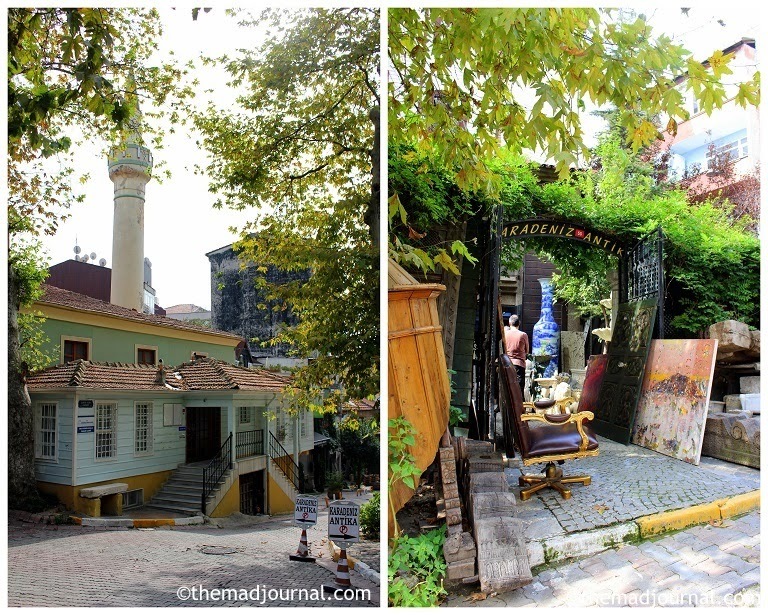 My main purpose to come to New Town was to go to the antique shop area of Istanbul, Cukurcuma. 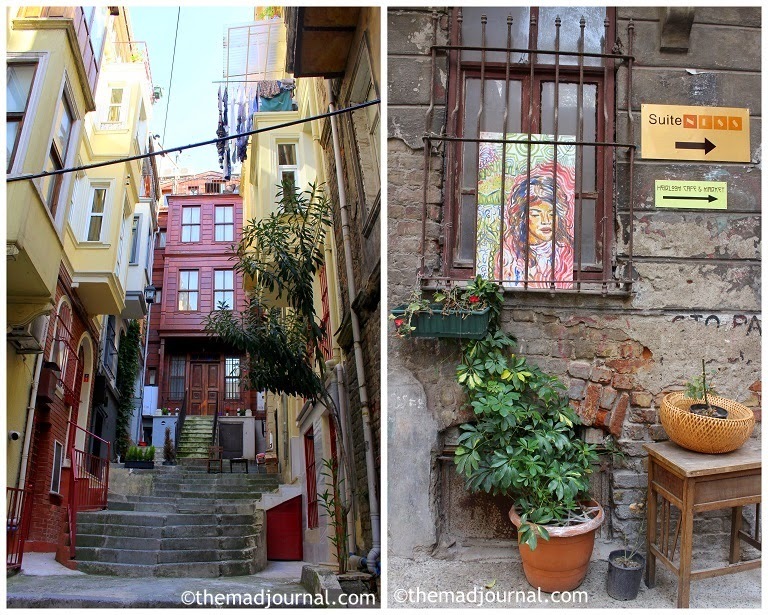 Off Istiklal Street and wander allies on the hill. however most of shops were opened as we visited in the last day of the Eid. I was so relieved! 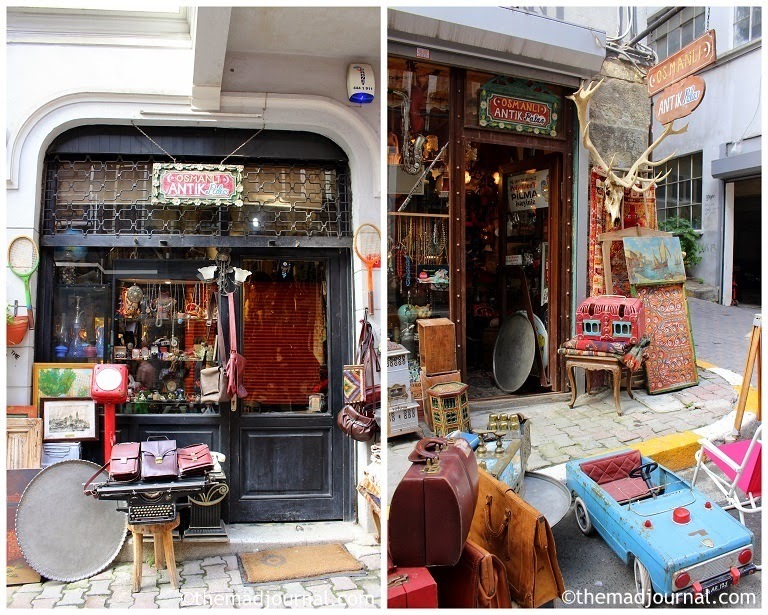 Items in shops were expensive, but it was really fun to see Turkish vintages and antiques! There are some nice cafes and independent shops too. I really love that area. I love their selection, they were girly and interesting! There were 2 shops in the same street. It's a modern vintage shop. Mainly furniture, but they have clothes, accessories, and tableware too. I think it's more European vintage than Turkish ones. There were so many vintage items from the floor to the ceiling! It was really too many and hard to walk through. I was afraid to touch them because they might collapse!